Let this kitchen necessity crawl of out the shadows with Arthur Court's Alligator Paper Towel Holder. This unique design features a crafty alligator working its way up the side of the paper towels, the lifelike detail within it's legs and tail creating a realistic, walking posture. 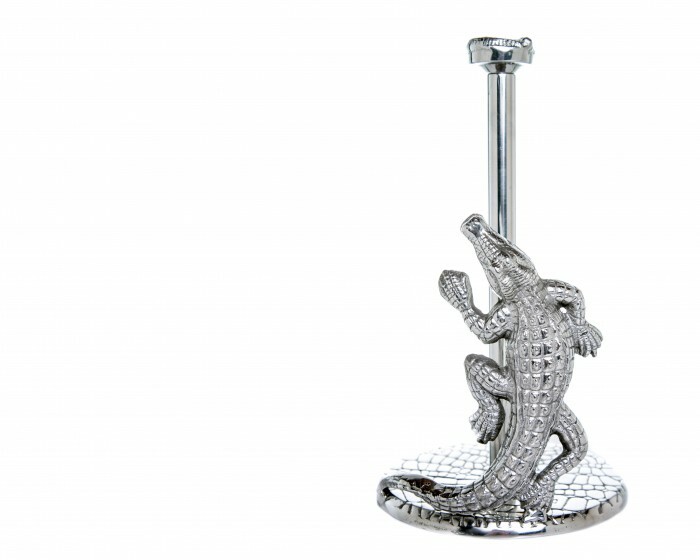 Handcrafted in sand-cast aluminum, this beast makes for a deadly surprise for any guest. Size: Diameter: 7.0" / Height: 12.5"